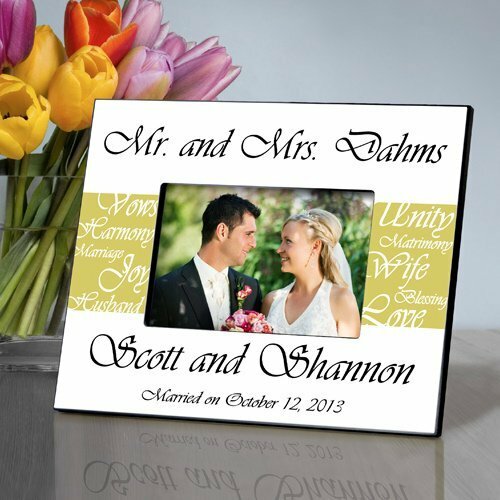 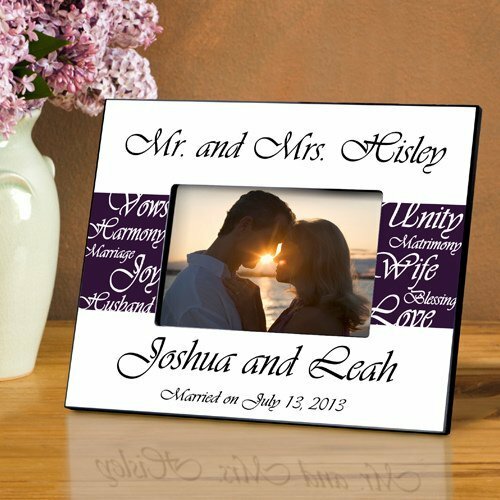 This elegant wedding-themed photo frame provides the ideal place for the happy couple to highlight a favorite wedding or honeymoon photo. 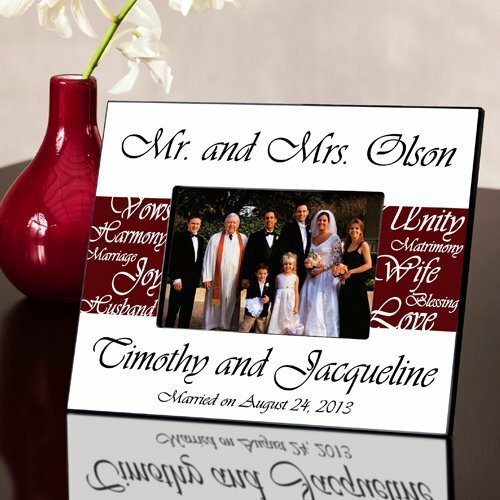 To make it extra special, we customize it with the couple's last name (for the Mr. & Mrs. caption), the bride & groom names and the wedding date. 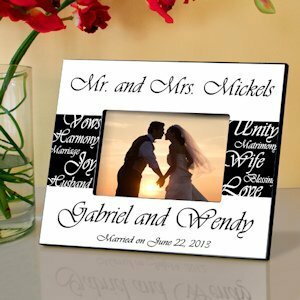 Frames measure 8" x 10" and hold a 4" x 6" photograph. 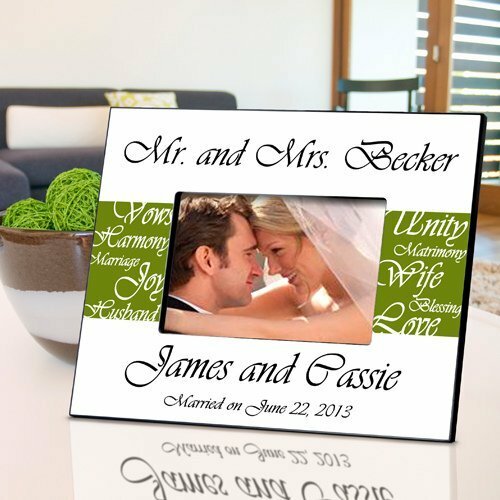 Choose from 6 color options. 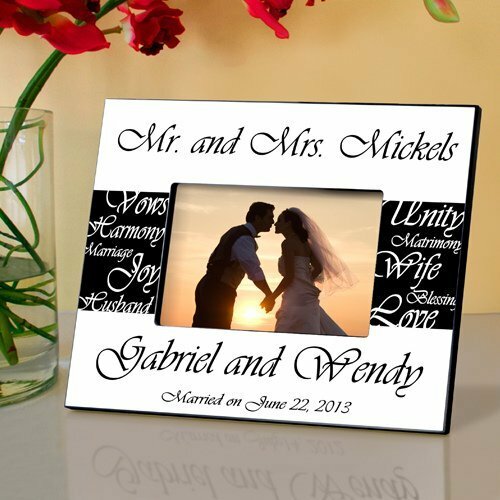 This Mr and Mrs picture frame is a keepsake they'll cherish!